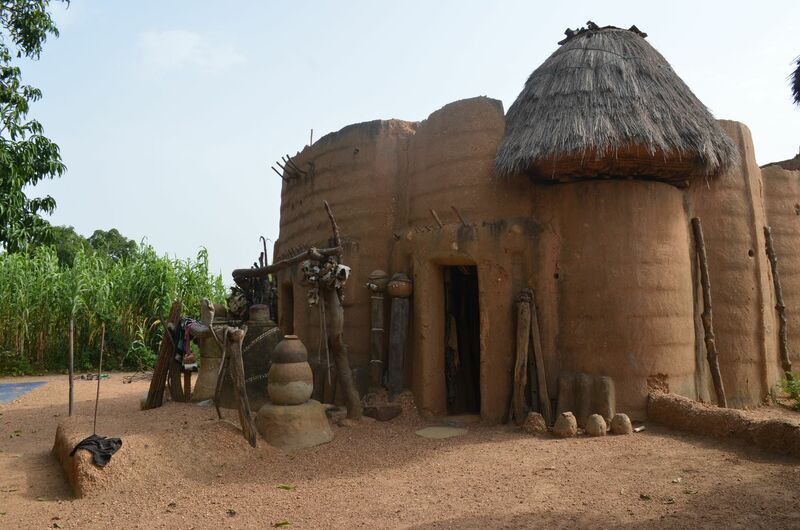 The French Institute in Benin is organising an exhibition devoted to the Tatas, the remarkable architectural heritage of North Benin, from April 16th to 30th 2019. This exhibition comprising photographs and mapping of the tourism sites is compiled from data gathered and produced as part of the project to modernize the national cartography of Benin. It is the fruit of a collaboration between the French Embassy, the Koutammarikou association which aims to provide assistance to the Otammari people, notably in defending their traditional homes, the Tata Sombas, together with IGN FI. The presentation ceremonies for both the base maps and tourist maps resulting from the project will be held on April 18th 2019 at the French Institute and will be attended by representatives of the UNDP, the European Union and numerous officials. The exhibition charts the inventory which was carried out, enabling 5,000 Tatas to be identified and mapped. 950 were geo-referenced and valuable information about them was provided by their owners in the course of in-depth surveys. The project is in the framework of the “Tata circuit” tourist route, which particularly showcases 20 “Premium Tatas” of outstanding interest. The documentary “Rendez-vous in North Benin” will be screened on April 25th at 7pm with its director Stéphane Brabant present.